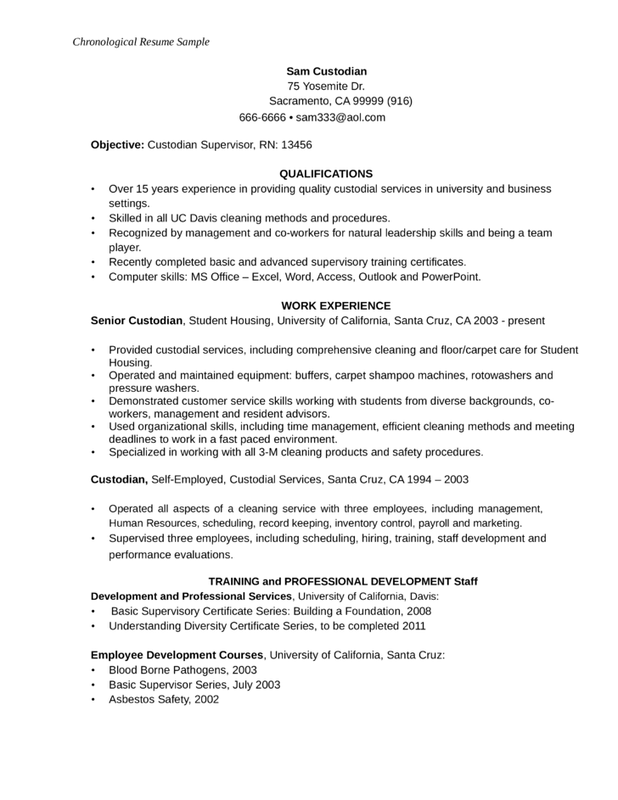 • Skilled in all UC Davis cleaning methods and procedures. • Recently completed basic and advanced supervisory training certificates. • Computer skills: MS Office – Excel, Word, Access, Outlook and PowerPoint. workers, management and resident advisors. deadlines to work in a fast paced environment. • Specialized in working with all 3-M cleaning products and safety procedures. Human Resources, scheduling, record keeping, inventory control, payroll and marketing.